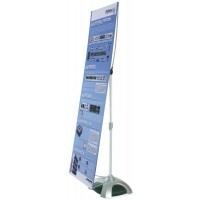 Promote your brand or business more with our portable information stand. Great for indoor and outdoor settings such as trade shows events, exhibitions, sports tournaments and music festivals when you want to quickly market your products or services to a wider audience. 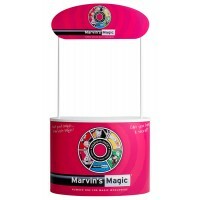 Ideal to encourage in store sampling, or product giveaways too. 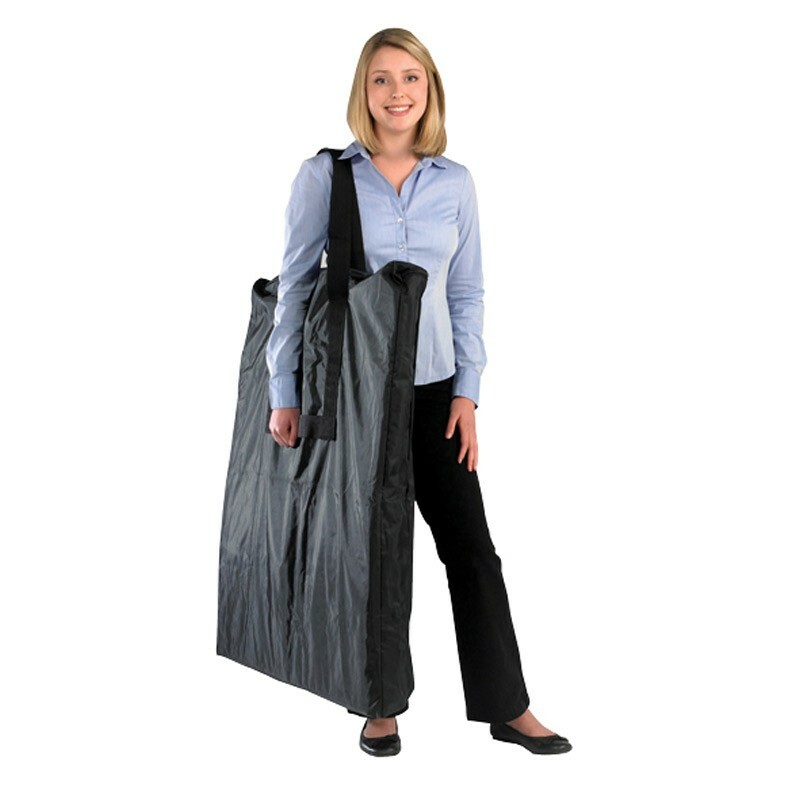 Wheeled stand castors ensure smooth stand mobility and no installation tools are required. Perfect for hectic roadshow days! 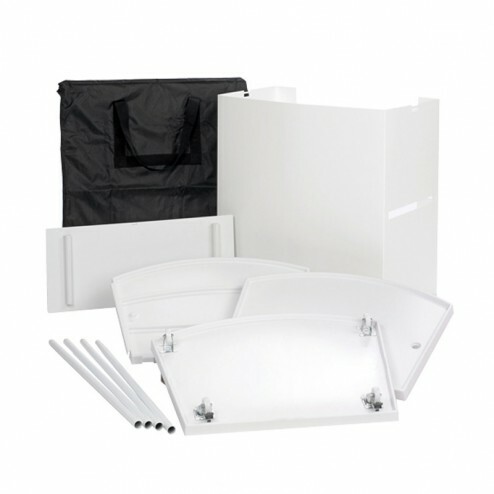 The promoter kiosk is manufactured with high impact plastic, this lightweight promotional display packs flat and fits into the nylon carry bag supplied. 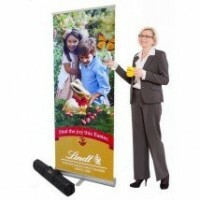 Why not buy a header stand and pole set too for extra impact – great for maximising brand visibility in busy settings. 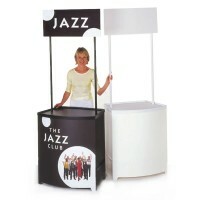 Don’t get left behind - move the stand with the crowd flow from place to place! 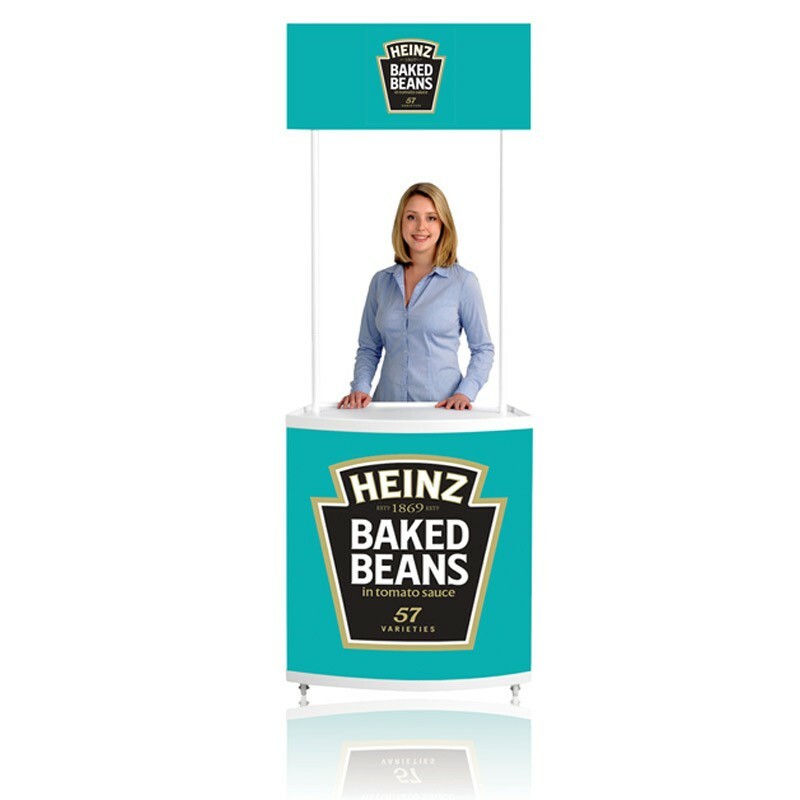 Working with you, we can also create your personalised kiosk wrap using high quality coloured graphics for a truly bespoke look. So, invest in a kiosk or two and be more brand visible.